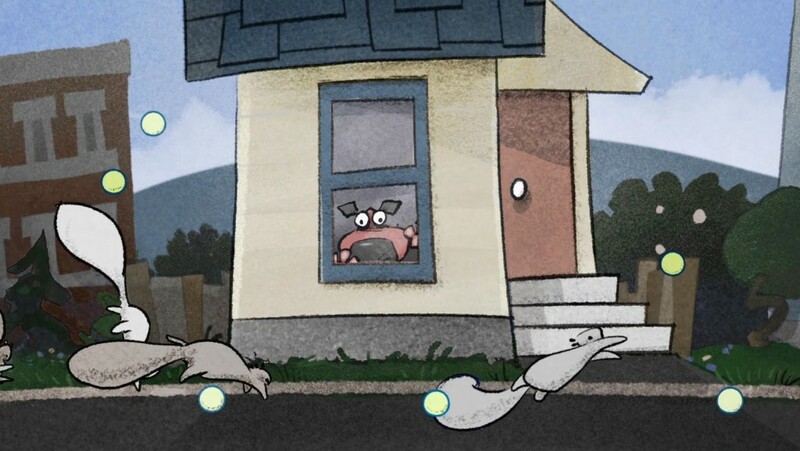 A celebration of animation from independent shorts to feature films, the OMSI Animation Film Festival showcases a selection of intelligent, entertaining and provocative programming from some of the world’s most creative artists. The Festival runs from Thursday, September 15 through Sunday, September 18 at OMSI’s Empirical Theater. 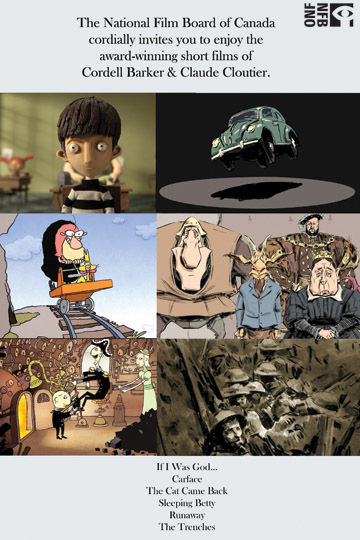 With highlights that include an appearance by Laika Studios’ 18-foot tall stop motion skeleton puppet, a cake-baking octopus, and an imaginative 1940’s steampunk adventure, the Empirical Theater’s giant screen will offer a fantastical smorgasbord of animation with something sure to appeal to nearly everyone. Click here to visit OMSI’s festival page. Plan on attending multiple shows or events? Buy an exclusive Festival pass and save! Pass holders receive access to all festival screenings and special events. Tickets are also available for individual shows. Both Passes and Tickets may be purchased online at omsi.edu, at the OMSI front desk, or by telephone at 503-797-4000. Please note: Individual show tickets sold out. Limited seating remains for Festival Pass Holders. 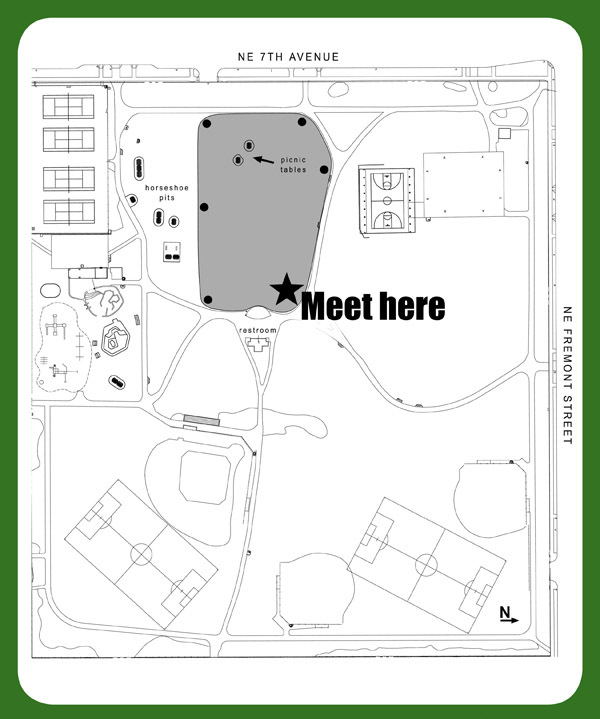 Come to beautiful Irving Park for Sketch & Stretch: a summer afternoon of yoga fitness and art-making. Participants of all experience levels are welcome to draw, to exercise, or try both. Keph Sherin, a gifted acrobat and fitness instructor, will lead two exercise sessions — each lasting one hour. 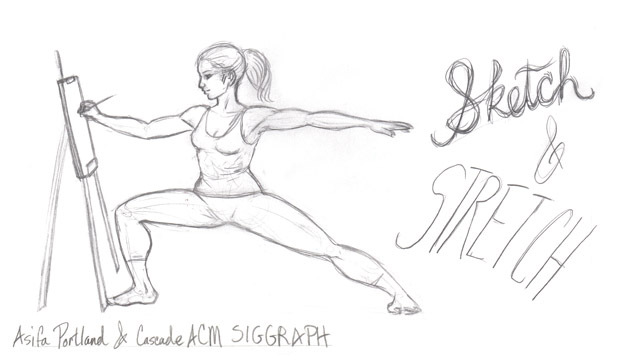 Yoga participants will double as our figure drawing models. The number models present will depend on how many people choose to exercise, so please share with your friends! The current weather forecast predicts sun this weekend. In case of rain, the group will move under an adjacent shade structure. Rain or shine, we’ll stretch our creative and literal muscles together! Please note: Folks who join in exercising will be asked to sign a standard model release and liability waiver. – graphite, charcoal, pens, pencils, paint, markers, etc. Keph Sherin has been teaching exercise for 12 years, and is a certified personal trainer, group exercise instructor, Qigong, and Pilates/yoga instructor. He has studied ballet, contemporary dance, breakdancing, gymnastics, hand-balancing, contortion, and aerial acrobatics. Keph currently teaches classes at Studio Blue and Pilogarobic. It’s about the peak of summer, which means it’s time for our most popular and caloric get-together: the annual Ice Cream Social! Come join us for an afternoon of ice cream, croquet, piñata smashing, table-top animation, prizes, doodling, animation talk, and plain old community. It all takes place at Marilyn Zornado and Alan Garren’s amazing Church of the Acoustic Redemption, up in beautiful St. John’s. Feel free to bring friends, spouses, kids, and well-socialized dogs. Folks from Cascade ACM SIGGRAPH will be flipping hamburgers on the BBQ — BYOB, favorite ice cream toppings, and your latest art work to share! If you’re carless, check out the No. 16 bus — or ask for ride-share options via the Facebook event page. 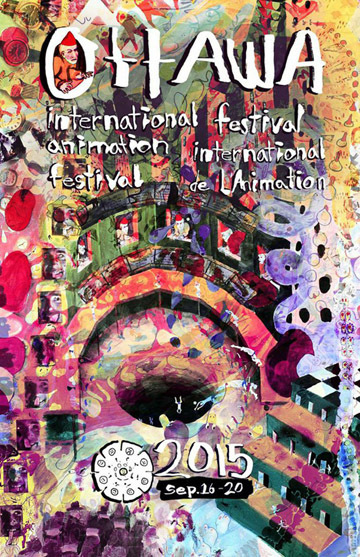 See the best shorts from Ottawa — North America’s oldest and largest animation festival. Ottawa has a well-deserved reputation for being the defiant champion of edgy, original films that push the limits of animation as an art form. It’s a Mecca that every animator should pilgrimage to at least once… Can’t make it to the 40th anniversary extravaganza in Canada this fall? Be sure to catch this specially-negotiated screening, right here at home! 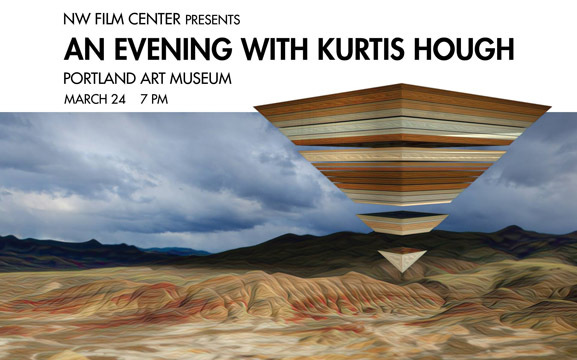 This Thursday, see the collected works of Kurtis Hough, Portland abstract animator extraordinaire. Winner of the 2014 Oregon Media Arts Fellowship, Portland filmmaker Kurtis Hough’s work blends animation, documentary, and the surreal into an investigation of the musical undertones found in abstract patterns of nature. Beginning with time-lapse photography of landscapes from around the planet, Hough’s work captures the lyricism and movements of unseen microscopic formations and natural events that typically go unnoticed by the human eye. The program includes the premiere of his latest film, PAINTED HILLS (2016) as well as a dozen other works, such as STUMBLE THEN RISE ON SOME AWKWARD MORNING (2004), MOSSGROVE/ BED OF MOSS (2011), CRYOSPHERE (2012) and TO SEE MORE LIGHT (2015). Hough will be present to introduce the films. Hosted by the Northwest Film Center. Hey ASIFA Portland, you’ve got yourself a free DAY – this is a Leap Year! 2016 is now bursting with extra hours, so how about spending a few with your chums at ASIFA for a relaxing and engaging Drink & Draw!!? 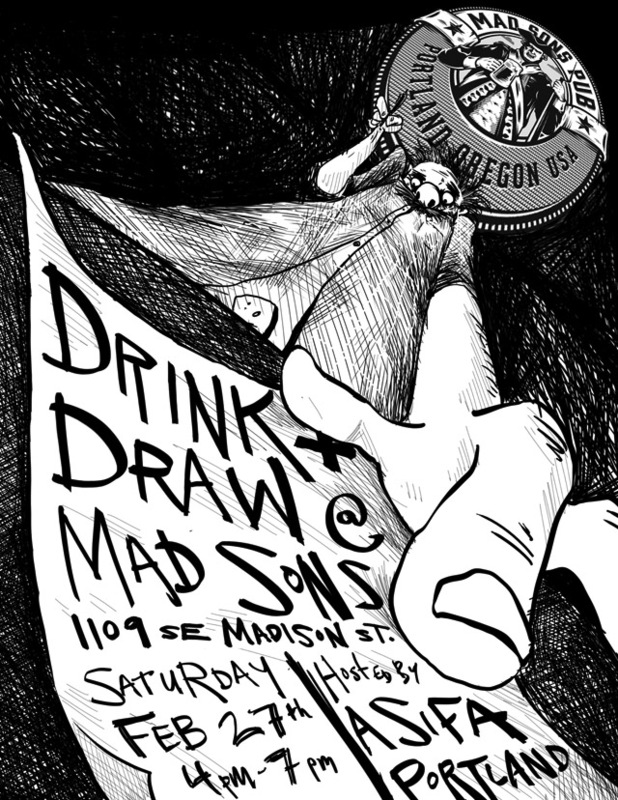 Mosey up the stairs at Mad Sons Pub on February 27th, from 4-7 pm and we’ll enjoy some sketchy behavior. Multi-panel pass-around comics? Free form quick sketch? Large scale group doodles? We’re never quite sure what will go on, but it should be a great time to catch up, have a bite, hoist a drink and, of course, DRAW! And to sweeten the pot (pitcher? ), we’ll be handing out some ASIFA swag for most-entertaining creations! The inaugural HOMEBREW: A PDX Animation Showcase is an event long in the making. Celebrating recent works from the gamut of local animators, you’ll find the screening collection fun, refreshing and very Portland. Organized and moderated by Sophya Vidal, a long-standing member of the animation and theatre community, creative and thoughtful storytelling are at the core of the program. The screening will be followed by a panel with several of the creators, so bring your best questions and get to know your Portland Animation Ambassadors. 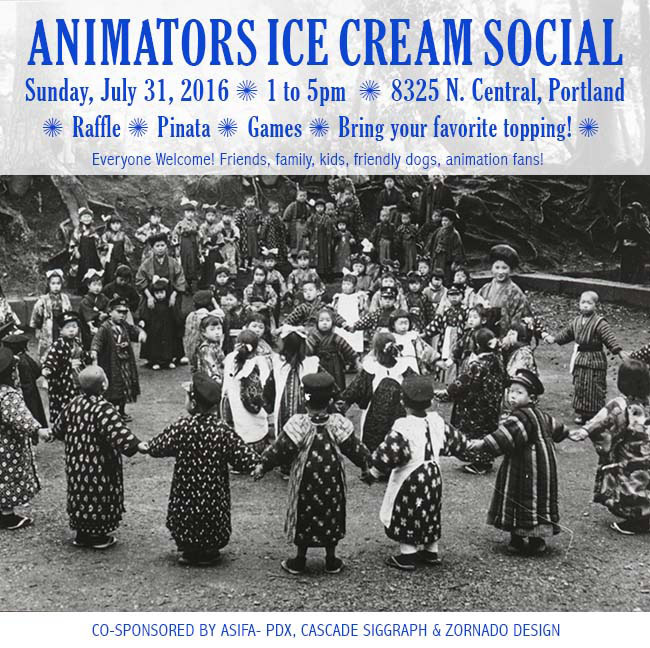 This event is brought to you by The Animation resource Community Service (ARCS), Portland ASIFA, and Cascade SIGGRAPH. (3 hours). 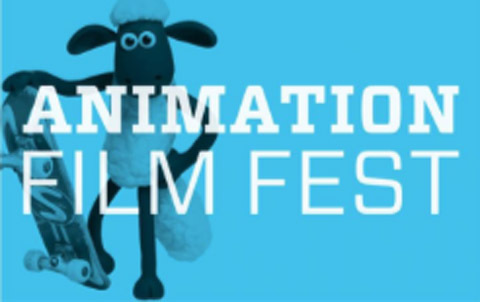 See a special screening of films by two animators competing for the 2016 Academy Awards! The short list for this season’s Academy Awards includes two animators from the National Film Board of Canada: Cordell Barker and Claude Cloutier. Kicking off the new year with a bang, ASIFA Portland is pleased to present both of these master artists’ Oscar-nominated shorts, plus four impressive examples of their past work. Cordell Barker’s 2016 nomination is for “If I Was God…” — a quasi-autobiographical musing on the director’s memories of school. Triggered by an incident involving a frog and electricity during dissection class, the young artist hopes to one day wield Godlike powers to get his own way. This will be Barker’s third Oscar nomination, following “The Cat Came Back” (1988) and “Strange Invaders” (2001). More recently, Barker’s madcap comedy “Runaway” (2009), which pokes fun at class disparities between passengers on a out-of-control train, took home a special jury award from the renowned Annecy International Animation Festival. “Carface” will be Claude Cloutier’s first Oscar nomination. It’s a whirling automotive waltz, wherein carefree cars cavort in all directions to the tune of “Que Sera, Sera,” while the black ooze that fuels them is unremittingly pumped from Mother Earth. If Busby Berkeley and Mel Brooks were asked to co-direct the apocalypse, it might look like this uproarious spectacle of destruction. “Sleeping Betty” is a skewed, anachronistic take on the classic fairy; “The Trenches” blends archival images from WWI with Cloutier’s hypnotizing brushstrokes to create a powerful illustration of the futility of war.